Two pre-attached, self-adhesive tabs at the top. Tabs attach to bed, overbed table or any furniture surface. Available in paper or plastic. Will not harm furniture surfaces. 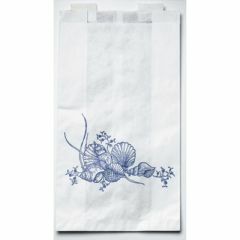 AllegroMedical.com presents The Disposable Bedside bags. Disposable. Two pre-attached, self-adhesive tabs at the top. Tabs attach to bed, overbed table or any furniture surface. Available in paper or plastic. Will not harm furniture surfaces. Excellent price and received shipment the next day! I am extremely pleased and recommend this company to all.